The movement to bring about “open tennis” – essentially, allowing amateurs and professionals to compete in the same tournaments – was long and drawn out, commencing before the Second World War, and ushered in a period of profound change that witnessed unprecedented commercial growth and a shift in the balance of power between players and officials toward the former. In 1924, the British Lawn Tennis Association (LTA) arranged several exhibition matches between leading amateurs and professionals for the purpose of improving general playing standards. Such was their success that they proposed in 1929 to hold an “open championship”. That same year, the United States Lawn Tennis Association also proposed open competitions, but their chief aim was to capitalize on commercial opportunities afforded by the entertaining spectacle. Public support for such competitions remained strong, and throughout the 1930s, both Britain and the US continued to champion the idea of open competition, if only to remove the hypocrisy of “shamateurism”—amateur players and tournament officials engaging in unscrupulous practices involving fudged expense accounts and under-the-table payments. However, proposals for such changes needed two-thirds support across all representative nations within the International Lawn Tennis Federation (ILTF), and despite numerous attempts by both nations, comprehensive support was not forthcoming. In the post-war period, professional tours began to seriously undermine amateur competition, as promoters like Jack Kramer continuously lured top amateurs away with lucrative contract offers, such that Wimbledon and the US Open became, in effect, qualifying competitions for the professional circuit. In 1960, the French Tennis Federation officially proposed allowing players to receive payment for play but remain eligible for amateur competitions like the grand slams and the Davis Cup – essentially creating a third category of “authorized player” existing between “amateur” and “professional” – alongside another proposal to sanction eight open tournaments in 1961. While the first proposal was comprehensively defeated, the second received an overall vote of 134-75 in support, but still five votes short of the necessary two-thirds majority. Apparently, some of the smaller nations feared that open competition would lead to the top players avoiding their best tournaments, which could not compete with those of the larger nations in terms of prize money, while Soviet bloc nations opposed professionalization and its potential effects on state-sponsored sport. Buoyed by the close result, nevertheless, the major tennis-playing superpowers – Great Britain, the United States, France and, to a lesser extent, Australia – led the charge for open tennis throughout the 1960s, proposing almost every year, in slightly different formats and varieties, for the removal of the amateur-professional distinction and/or open competition. Each time they were defeated. As the world’s most renowned tournament, it was the Wimbledon Championships that held the keys to the arrival of open tennis. 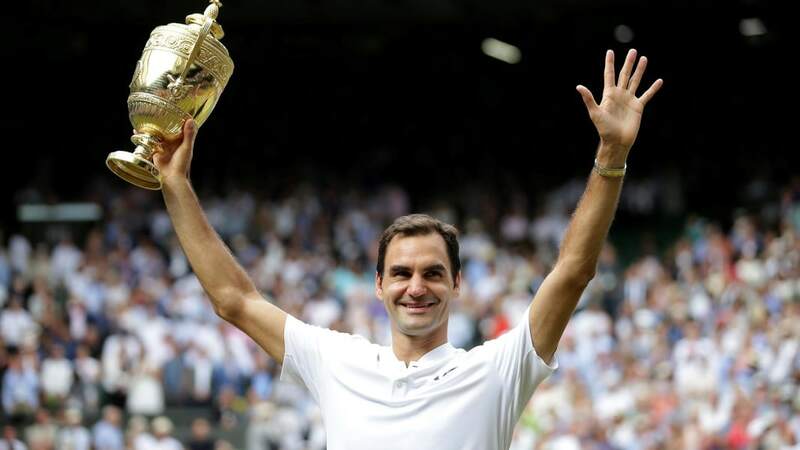 The AELTC considered it their moral duty to promote institutional integrity and lead in the promotion of fair compensation for players within an increasingly commodified commercial sport marketplace. They approached the LTA in 1965 for support in forcing an open Wimbledon the following year – to “go it alone” despite facing expulsion from the ILTF – but the LTA rejected the proposal with only 31% of its Council in favour. There were concerns over whether an open Wimbledon would receive the necessary support from other nations, elite players, and the British public. A hugely successful Football World Cup in 1966, in which all of the victorious England team were professionals, helped persuade some of the LTA’s amateur stalwarts to reconsider their position. After a succession of fairly drab Championship meetings that saw declining television figures, the AELTC agreed to pilot an end-of-season professional tournament on their hallowed courts, featuring stars Rod Laver, Pancho Gonzales, Lew Hoad and Ken Rosewall. Supported by £35,000 BBC sponsorship and their agreement to broadcast in colour – the first AELTC-staged event to do so – the tournament drew huge crowds and impressive television figures. Consequently, the popularity and commercial success of professional tennis was demonstrated, which helped push the LTA, with a 295-5 majority vote at their next AGM, to delete all official references to amateurs and professionals from their statutes. The AELTC then made the bold move to make its 1968 Championships “open”. Unsurprisingly, the ILTF announced plans to suspend the LTA from April 22, 1968, but tireless campaigning from AELTC and LTA executive committee members, alongside overwhelming support from amateur stars like Arthur Ashe and Billie Jean King, forced the ILTF to reconsider their position or risk a mutiny. An emergency meeting was held in March, and the 47 participating member nations decided unanimously to withdraw their opposition. It was a victory for the progressives. While the ILTF allowed open competition, however, their agreed ruling supported the maintenance of distinctions between amateurs and professionals, and kept the latter at arms length rather than brought them under their jurisdiction. This had far-reaching consequences, not only sustaining the “professional” stigma – suggesting professionals were a breed apart – but also opening the door for promoters to capitalize by forcing negotiations with association and tournament officials to ensure the attendance of their contracted professionals. This created a period of turbulence in the early 1970s that led to the formation of men’s and women’s player unions, and brought numerous boycotts and lawsuits, as players exercised their markedly enhanced leverage within the new and increasingly commercialized structure of professional tennis. For female players, open tennis invited huge disparities in the prize-money allocation between men and women, which forced them to challenge the ILTF, create their own “rebel” tour sponsored by Virginia Slims cigarettes, and negotiate a more equitable share of the wealth they helped generate. While far from a flawless transition, open tennis did ultimately help remove the hypocrisy of shamateurism, invite a more lucrative compensation structure for male and female players, and ignite a process of modernization for many of the major tournaments throughout the 1970s and 80s. Wimbledon’s contemporary image as old-fashioned and conservative does well to hide its more progressive spirit and rebellious past.